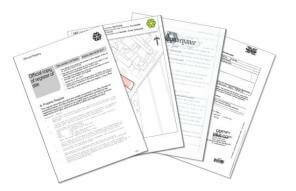 Land Registry documents supplied within the hour. Quick & easy ordering. Secure SSL payment processing. We supply title deeds, leases, old conveyances, plans, historic house deeds and any other Land Registry documents. Free Guide Book with every order. Online 24/7, with fast delivery. Our average order fulfilment time for October was 18 minutes. Many thanks, much appreciated, as is the speedy response. Really impressive, thanks again. Thank you very much for your excellent work care and good advice. Many thanks for the prompt service!!! Thank you so much for all your help. You’ve really gone out of your way with all my extra questions so I really appreciate that. Many thanks for the link, looks like we’ve opened a can of worms here but look forward to finding out. Thank you so very much for your reply . I will proceed with your suggestion. Once again please accept my thanks for all your help this week. Have a brilliant weekend . Ladies and gentlemen( and machines)! Thank you so much for sending the correct ones. I really appreciate that action. You have been so helpful. Thank you very much. That’s great and a really speedy reply. Thank you. Thank you so much for your help, it’s much appreciated. Title Registers or Title Plans just £14.95. Or both for just £19.95. 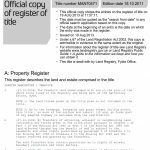 The Title Register shows key property and ownership details held by the Land Registry such as property description, owner information, rights, restrictions, covenants and mortgages/charges. It also provides key legal information such as tenure (freehold/leasehold) and title guarantee status. Title Plans or Title Registers just £14.95. Or both for just £19.95. The Title Plan shows the location of the registered property as recorded by the Land Registry, and the general boundaries of ownership (usually coloured red). 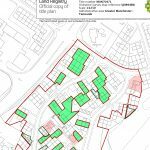 Some title plans will also show other information referred to in the Title Register such as rights of way, utilities equipment positions or areas affected by restricted covenants. Title Deeds from just £19.95. 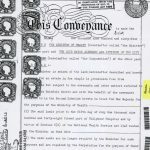 Title Deeds are the documents that prove legal title to a property. We offer a basic and a comprehensive Title Deeds package. The basic package consists of a Title Register & Plan only. The comprehensive package consists of the Title Register, Title Plan and other types of deeds which are registered/filed against the property’s title number at the Land Registry. 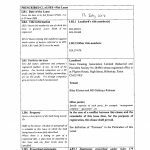 These ‘other’ deeds are the ancillary documents which detail the rights and obligations affecting the property such as transfers, conveyances, easements, etc. Please review the sample for more information. If you already have your Title Register you may have noticed that it refers to rights or covenants stated in a particular deed; we can supply just that deed on its own. If a deed is referred to in the Title Register, and noted as “copy filed” or “original filed”, it can usually be obtained within the hour. The lease is a key document in understanding the rights and obligations that go with owning a leasehold property. The lease may contain additional estate plans, parking plans, plans of common parts and service charge provisions. Many disputes between tenants and managing agents can be avoided if both parties are fully aware of the terms of the lease. Lengthy disagreements can be stopped before they start. Documents can be provided within the hour. Land Registry searches by map from just £16.95. 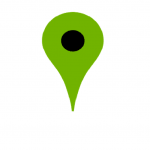 If you don’t know the postal address of the property or land that your order relates to, simply drop a pin on the map below at the desired location and we will identify the registered titles affected using our Land Registry mapping system. We can supply the requested documents within the hour.